A Firm With One Focus – Injury Law. 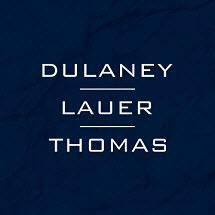 The law firm of Dulaney, Lauer & Thomas is a Warrenton law office founded in 1977 with the goal of serving the residents of Northern Virginia who are victims of the negligence. In the 35-plus years since our firm's founding, we have enjoyed significant growth, which has allowed us to expand our personal injury and workers' compensation practice to include three law offices located across Fauquier County. Experienced attorney Andrew Thomas has managed our Warrenton law office since becoming a partner in 1999. Mr. Thomas began practicing law in 1992 after earning his Juris Doctor from George Mason University School of Law and his admission to the Virginia State Bar. He began his legal career with a large insurance defense firm, but he now represents victims against insurance companies. If you suffered injuries in an accident caused by an intoxicated or otherwise negligent driver, the law firm of Dulaney, Lauer & Thomas can help you seek compensation for your injuries. The attorneys at our firm have over 90 years of combined experience, and they will put their experience to work for you. To learn more about the benefits of choosing our firm, you can take advantage of our offer for a free initial consultation.